We were first alerted to this situation when a family of “Hyenas” made camp just outside our warehouse near the railroad tracks. There was “Papa Hyena”, “Mama Hyena” and “Baby Hyena”. 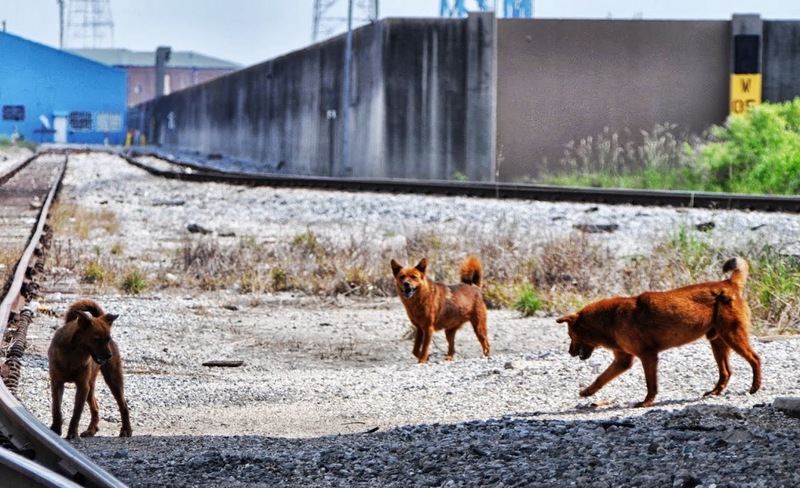 They stuck together and waited in the shade over near the canal on the same infamous spot that a barge broke through the levee walls during Hurricane Katrina causing the massive flooding down in the Lower 9th Ward. 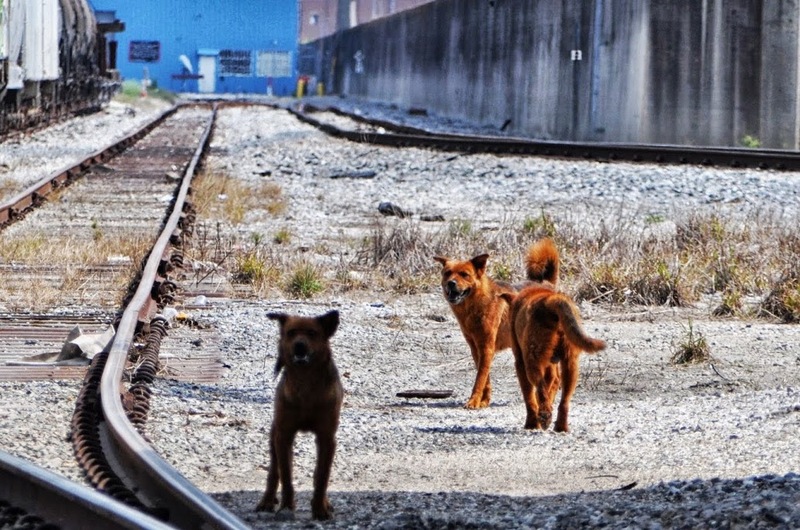 For days we tried to coax the wild looking pack of dogs into our care. We left out the best of food and lots of water to keep them hydrated in the brutal summer heat. But they quickly caught on that we were trying to “capture them” and started only coming out at night. 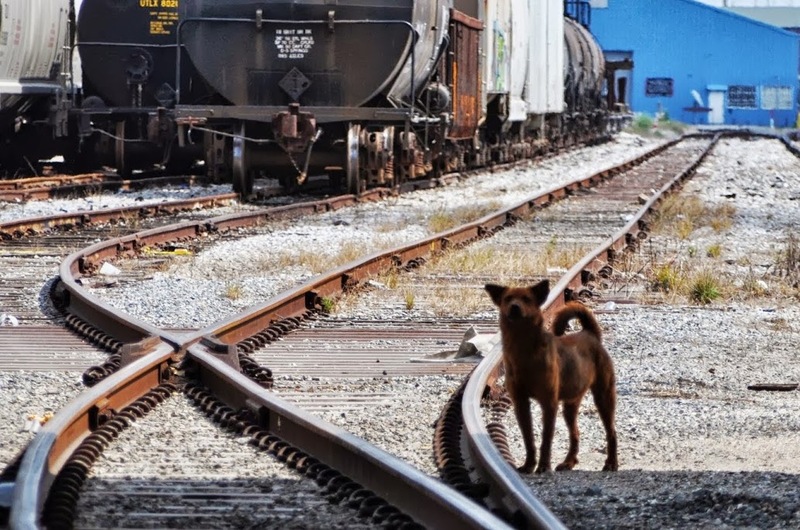 We watched from a distance as they made the trains parked on the tracks, their shelter which of course to us was very unsettling as several times a day, active trains did go by. Days turned into weeks and the Hyenas alluded us. Then we got the sad news that Baby Hyena had been killed on the bridge after getting hit by a car. Then days later Mama Hyena killed on the street in the same manner. We were devastated. And as heartbreaking as the story was unfolding, we saw a slight change in Papa Hyena’s behavior. It was as though he now knew he was alone and we were his only family now. And within a few days/nights, we were finally able to catch him. Although he is still somewhat standoffish with people he doesn’t know, he is making progress. 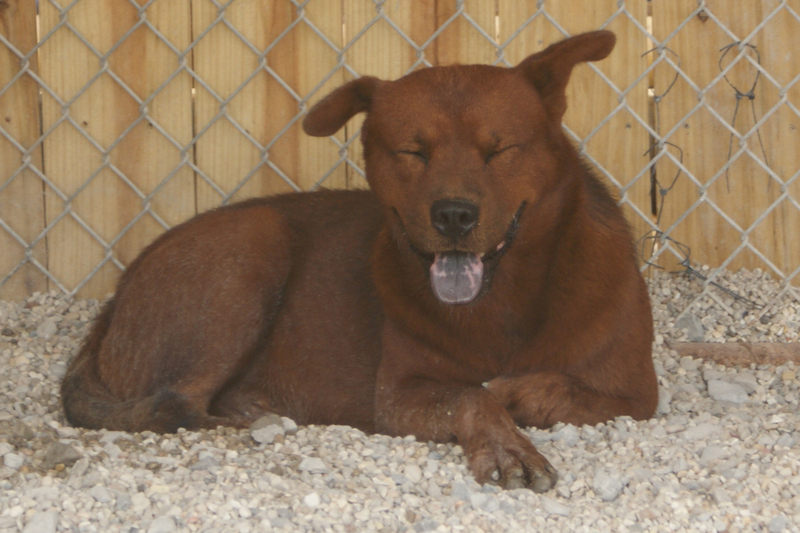 We have renamed him Choo Choo and although he is a “special needs” dog, he could be adopted to someone who is experienced in shy dogs. He has never shown any aggression but just needs a quiet place to live out his life and someone to let him know that he will be safe.